A Dhaka court on Monday again extended the bail of BNP Chairperson Khaleda Zia till October 3 in Zia Charitable Trust graft case. 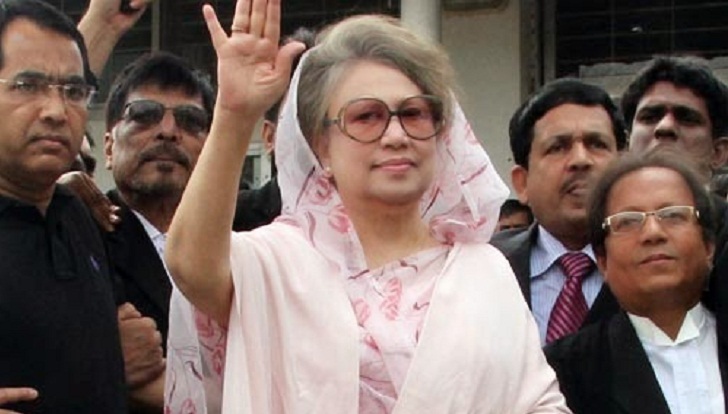 The court also adjourned the hearing on the appeal petition filed by Khaleda Zia in the case. The High Court bench of Justice M Enayetur Rahim and Justice Md Mostafizur Rahman passed the order, said Advocate Khurshid Alam Khan, Anti-Corruption Commission lawyer. Earlier on July 12, the hearing on the appeal had begun in the High Court which extended her bail for another one week on the same day. After that, the HC extended her bail on July 19, July 25, July 31, August 8 and on Monday last. The same court on February 8 convicted the former prime minister and sentenced her to five years' imprisonment in the Zia Orphanage Trust graft case. On August 8, 2011, the ACC filed a corruption case with Tejgaon Police Station accusing four people, including Khaleda Zia, of abusing power in raising funds for Zia Orphanage Trust from unknown sources.